There are many factors that contribute to personal confidence. A popular phrase at this point in time is ‘fake it til you make it’ and there is some sense in this. Helping women be confident in their personal image is one of my specialisms. When they are it helps to propel them into the ‘cycle of success’. Work your way round the cycle, imagine how you feel when you know you look and feel good – wearing your favourite dress to an important meeting, putting on those new shoes for the first time, being confident about how you greet someone at a networking event. You feel better about yourself don’t you? When you feel better about yourself this confidence shows outwardly and people tend to respond to you better. All of us need relationships and positive relationships reinforce positive feelings and help you to perform better. So what really makes the difference to a positive personal image? Here is some food for thought. What works for you – what clothing and accessories do you feel like you in? This is so important. Being appropriate for the environment is as well but if you don’t feel like you then you won’t perform to the best of your ability. What flatters you – all women have things about themselves they are less keen on. Knowing what suits you best, not just in terms of colour tones to lift your features but the right cuts, shapes and illusions to flatter your physical self. Being polished – you can be wearing your most expensive suit but if you feel a mess whether that be in terms of hair, make-up, shoes or anything else, you won’t feel good. Attention to detail is really important. Eye contact – how confident do you feel looking people in the eye? Many people feel awkward but being able to do this with confidence is key to your personal impact and building rapport. Mannerisms – do you have anything you do when you are nervous? It’s worth considering this as it may be a distraction to others from what you are saying, which is where you want the focus to be. Greeting – you would be surprised how many senior women have a weak handshake. When that is what you offer someone, it will be on their mind for a few minutes afterwards, leaving not only a negative impression but again a distraction from relationship building and listening. 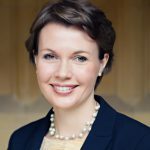 Introducing yourself – is your introduction clear and strong? You want people to remember who you are and form a positive impression from your tone. Neither of these will happen with a weak and mumbled introduction. Clarity – are your sentences full on ‘umms’ and filler phrases such as ‘to be honest with you’. Clear communication is really important to engage positively with others. Positive language – people respond better when situations are explained in positive language, think of someone asking you to do something, you are likely to respond better to “remember to…” rather than “don’t forget to…”. 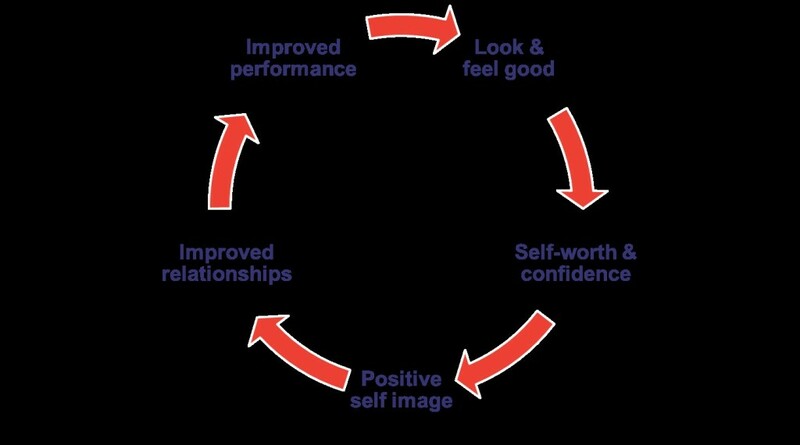 So as this International Women’s day approaches, why not spend some time thinking about what you could improve about your personal image and impact; to boost your confidence and put you firmly in the ‘cycle of success’. * Joanna Gaudoin is a personal and corporate image expert, passionate about helping women look and feel confident. Joanna is an associate of Voice At the Table. Read more about Joanna here.